To know me is to know my obsession with Luke Hemmings' lip ring. Just doing a Google search of the keywords "Luke Hemmings lip piercing" leads to a disproportionate number of articles embarrassingly written by me — or at least the fangirl in me who inexplicably finds the 5 Seconds of Summer frontman's lip ring to be attractive AF. Fortunately for my sanity (or what's left of it seeing as I am writing an entire feature about my thirst for the 19-year-old's facial piercing), I am not the only fan with this ~deep~ and ~real~ infatuation. The lip ring is a prominent obsession in the fandom (whew! ), and it has, in fact, stolen the show on many occasions. And since it is literally my job to find these instances and deliver them to the fans, that is exactly what I am about to do. Obviously, the best part about watching a 5SOS performance is literally everything, from the guys' palpable energy to their killer guitar riffs and Ashton Irwin's powerful drumming. (Um, plus their voices and faces and matching black skinny jeans and everything else in between). But then, without even knowing it, you'll find yourself staring at the probably-purchased-at-Hot-Topic piece of jewelry in the corner of Hemmings' mouth and it has won you over yet again. Though I can't exactly explain what it is about the piercing that makes it so mesmerizing (besides the fact that it automatically makes him a total badass), here are 16 times that Luke Hemmings' lip ring has made you a believer. 1. When He Sang The First Line Of "She's Kinda Hot"
You know the one. The lip ring compliments the word "bitchin'" very well. Think all of those girls were screaming for the band? No. It was all for the piercing. 4. When 5SOS Performed "Teenage Dream" & Luke Sang The Word "Funchline"
Two thumbs for dat piercing tho. 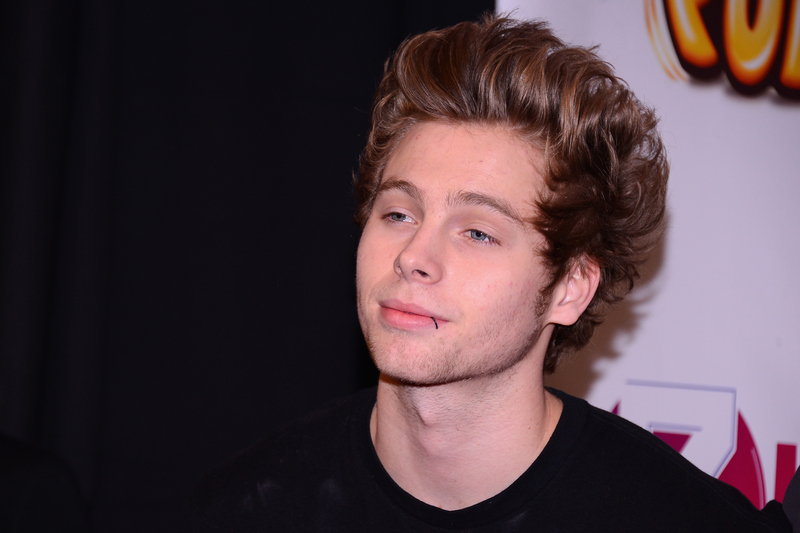 DON'T STOP DOIN' WHAT YOU'RE DOIN', LUKE HEMMINGS' LIP RING. If you thought this was just gonna be a GIF of Luke Hemmings' sea green eyes, you're wrong. Who cares about the height of Luke's hair when you have his lip piercing on hand, helloooo. Along with the rest of 5SOS. And there is barely anything that is more important than eating Chinese with Ashton. Just to be introduced to the lip ring all over again. 16. And Then Kissed Us All. Every Last One Of Us.